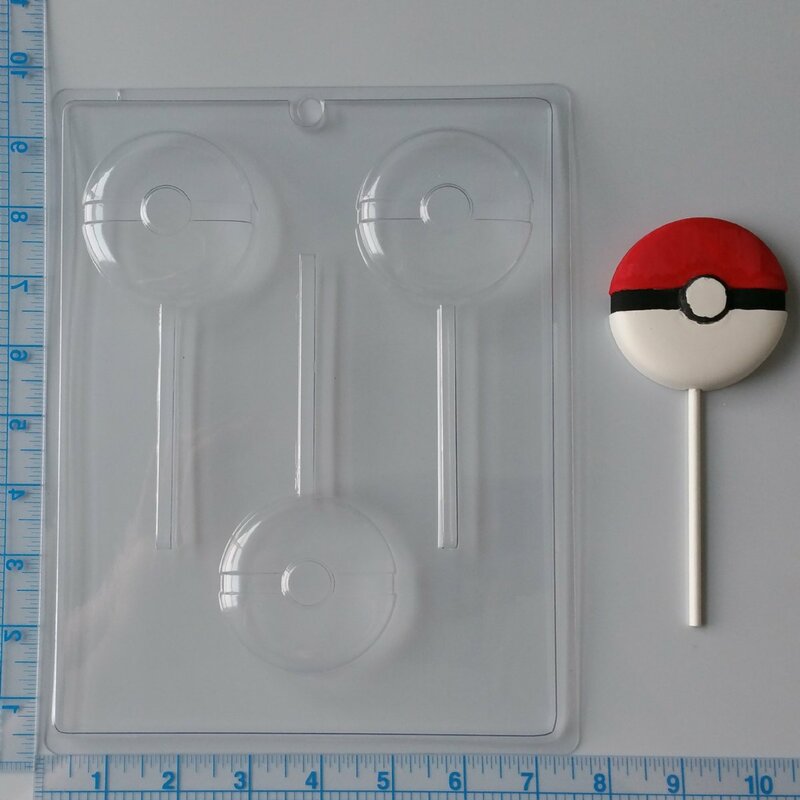 Pokemon Go Pokeball Lollipop Chocolate Molds!! You've gotta catch 'em all! Your purchase does not include the metal plate. It is pictured to help show details of what the mold will look like. What you receive is a clear, 24ml, FDA approved, food grade plastic mold created from the pictured plate. The mold is not dishwasher safe. 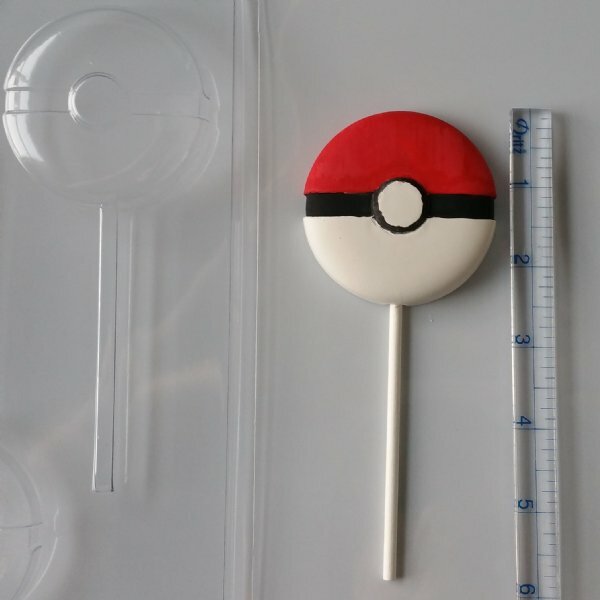 Description: Love that it came so fast, and so glad I found this site for my son's pokemon party. This tray will make the party extra fun and yummy. 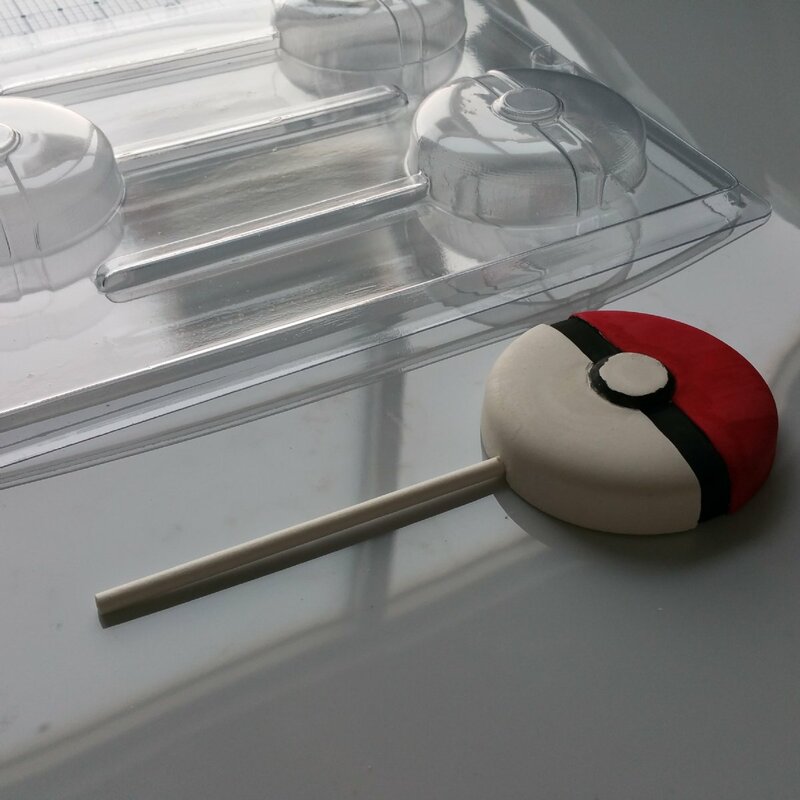 Description: This was a great purchase with a come back of a very popular game this lollipop is a hit! It is also very easy to make thanks to the great quality and clearness of lines to paint with this mold. Very happy with my purchase of this mold .